Home › dieselgate › Can the VW VAG EA 189 NOx emissions fix be reversed? Is a remap the answer? All the help and advice in the world isn’t going to make the issues with the EA 189 NOx emissions fix go away. EGR valves will still fail, DPF filters will clog up and owners will still be the ones picking up the bill for VW’s lies and deceit. What we’re being asked time and time again is can the emissions fix be reversed. So, Can the emissions fix be reversed? This is a tricky one. As we understand it the changes to the engine management system go above and beyond what remaps would be capable of changing. We believe that the fix makes changes only possible by “flashing” the entire ECU with new settings and features to help reduce NOx output. We understand (at present) that only VW can fully reverse the software update. At this point VW / VAG have point blank refused to entertain this idea. Can a remap “fix” my car? We (rightly or wrongly) have been careful not to recommend a remap to unlock the power lost to the fix due to the possibility of even more particulate matter being produced. Increased PM means more DPF regeneration cycles, less MPG and eventually DPF filter failure / blockage. An engine remap is the process of altering or replacing the software in a car’s ECU. This changes how the engine performs, in most cases increasing the power output by up to 50%. Changes the ECU during a “performance” most commonly affect the fuelling, ignition and “boost” tables. 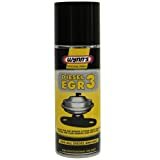 This increased fuel and air creates a bigger bang in the engine, resulting in more power. The remap is usually “installed” via your car’s diagnostic port (OBD2) using a laptop or a specially designed handset. We’ve put together some ideas / claims that have been flying around the internet. Remapping allows you to flash different versions of the software – an example being that you can fit a different engine into a VW / VAG car and re-flash the ECU to run an entirely new engine. A garage with the Odis online will be able to restore the ECU version – back to pre-update settings. With so many people claiming remaps are the answer it’s very strange this “simple” fix… for the VW fix isn’t been advertised by every garage / tuner with the correct equipment. With so many unsubstantiated claims out there it isn’t difficult to why so many people are confused about which way to turn. We put together this article to help cut through the static and bullsh1t that seems to be circulating around the internet. Therefore please treat this page as a “work in progress”. We’ll be updating it as often as we can, hopefully we’ll strike gold and report back with the “fix” you all quite rightly deserve. We’ve been made aware of tuners / remapping outfits actively seeking disgruntled owners, claiming to be able to reverse the fix. We’re very concerned that owners will opt for an untested and proven solution which could cause even more damage than the EA 189 NOx “technical measures” have already caused. Our advice is to sit tight and see is a knight in shining armour emerges who is able to offer a proven and reliable solution. We’ve yet to hear from anyone who is able to provide proof that they are able to reverse the update. We’ll let you all know as soon as we do. Can’t the data from a “unfixed” ecu be copied and flashed onto another ecu. Or can I get an ecu from a crashdamaged/scraped car and have it programmed to my car? Where on internet have you find that a software revert can be done? I cannot believe that the original software for the range of engines accociated with the emmisions problem is not available from VW/Audi etc but also in each garages software “store”. If you are loading in a new set of software you upload and keep a copy of the original. If its more complicated, and you have “damaged” the hardware to load the software then change the hardware control device and load in the old software? May be, it will add cost to the process and reduce company profits? Then found someone who put the original pre fix software back, everything working how it used to so pleased. Beware only go for an original map and check the software code before its installed it should be a lower number than the fix code. We’re can I get original software from? I had my Tiguan fixed by VW in Dec 2016, since then nothing but problems, all well publicised, had an EGR valve replaced thought of part exchanging, but got in touch with Gary from North Wales Tuning, he found an original code for the ECU, VW wiped it clean when they fixed it, and reversed the fix, like it came out of the showroom, can’t thank him enough. My wife has lodged a complaint with Audi UK and requested the original software is reinstalled on her A3 2.0TDi. We are not holding our breath! Surely this option should be made available to all who request it, as this would cut a lot of the criticism of the VW-Audi group at very little cost to them. From what I have read on the Internet, it is likely that my wife will get a satisfactory response Audi UK. Therefore I have already started looking for someone who can put the original software back for the sake of marital harmony. A standard remap just amends the fuel and boost tables, and this is likely to make more soot compounding the DPF and EGR clogging. It will not revert the multi-stage injection changes or the more aggressive EGR profile that the VW fix introduces. TORQUE – Stock 380Nm, Post Fix 411Nm @ 2200 rpm, Remap on old software 457Nm @ 2,400 rpm. The tuner told me that most remaps just write new tables to the boost and fuel parameters using the canbus plug. But to undo the damage introduced by the fix, you need to write a full ECU file (if you have one). Some can be written via the plug connector, others entail ECU removal. Obtaining an original copy of the pre-fix software in the first place however requires ECU removal. Contrary to what Honest John reports, rather than introducing a triple stage injection, the fix actually removes or reduces the pilot stage so reverting your ECU to the original version of software actually re-instates it. Having the pilot injection makes the engine smoother and quieter, and hence widespread reports of increased noise after the fix correlate to this. I suspect the modified tiguan profile VW are now issuing has applied further adjustments. So VW / Audi were technically correct that my power and torque would not be impaired, but they lied about the economy and the future life and reliability of the car. In fact on my vehicle the map I got with the fix comfortably exceeded the original torque and power specs. However, economy was about 10% down and I noticed that DPF regens were occurring much more often. This would have affected component life and I am happy that the tuner I have used has successfully cancelled this death sentence and has given my Audi a new lease of life, with power torque and economy all better than ever. Anyone no where I can get the ecu flashed back to original…audi liverpool waste of space ..promise the world deliver nothing worst dealer experience ever [email protected]!! I would be tempted to print off as much material as you can find that either support or prove that the ‘fix’ is linked to problems and challenge them on why they cannot restore your previous map. I am hopeful that within 12 months they will be forced to act – it only takes 1 customer to be successful in having VAG restore a map and they’ll have to make it available to everyone sooner or later. My son’s 2011 VW Polo was recalled for an emission fix last year. This resulted in some loss of power, but it ran well enough until early this summer when he noted very limp aceleration from a stop and during a motorway drive cruising at 65 mph power took a nose-dive for about 10-15 seconds. A few days later the car became more difficult to start and then stopped altogether. It was taken to a local garage where it defied diagnosis. The cam belt sensor was changed and then the ECU came under suspicion. It was sent away for examination and came back OK; how rigorous the test was I don’t know. Now it is in the local VW dealership and the ECU is once again being blamed – 5v output to most sensors but only 1v for another. We have also had our wrists slapped for having non-genuine battery fitted to the car (as bought). They want to fit a new ECU at c £1250 without any certainty that it will work or promise to remove the new unit if it doesn’t work. They also refute any link to the emissions fix. We are £800 out of pocket already. The August bank holiday is nearly upon us, which provides some time to pause and reflect on what to do next. Looks like people are mixing different things together. Remapping is one think, it writes in some parts of the ECU. However it looks like VW fix flashes the entire ECU. This process of writing the entire ECU is something that I believe only VW can do as they are the only ones that have the keys to access (write) the ECU. However another process can be used with the Bosch ECU. It can be accessed (written) by open the ECU and direct wiring the flashing device to it. I didn’t do it myself but there are some professionals out there that are able to do it. Is not rock science if you think for a while is not different from replacing a damage ECU. In that cases we need a new one and a process to write the software to it. VW don’t reverse the fix because they do not want to! I have a VW Passat CC – 2010 – 2.0ltr Diesel, Regretibly, I had the VW software emmissions cheat “fixed” by VW and since then I have experienced an interruption in power when motorway driving at constant throttle and speed, typically between 1800-2000 rpm at between 70-80mph. Having taken the car back to VW on numerous occassions with the explanation that it didn’t behave like this prior to the “fix” and does now, they have been unable to detect a fault (no warnings or fault codes are brought up when the interruption takes place)despite having a VW technician in the car and demonstrating the fault on more than one occassion. Out of despair, I had my car re-mapped recently and after my initial joy (it runs like it used to at low revs and low speeds) the same fault is still there. I contacted the garage who carried out the re-map and they have said that they will investigate and have suggested that the fault I am encountering may be aggressive regeneration of the RFP. I am now contemplating what to do next…. I took my Audi A1 2012 SLine tdi into Brighton Audi for a MOT cambelt and full service costing the best part of a £1000. On picking the car up Audi said we have done the emissions fix 3 months later car went into limp mode went back to Audi Brighton they said the EGR valve had gone which they replaced free of charge. since then engine revs are higher than normal and particulate filter error comes up on dash. Gutted for you Stuart. There are quite a few people in the same position and they rejected the car. They were given an undisclosed amount plus a number of free services and other goodies from VW. We’re going to run an article about this very soon. I had the update carried out on my Aid A3 in April 17. It’s now been back to Audi Tamworth 5 times because it runs like a tractor, but Audi won’t re-install the original software (say they can’t). I now have a car that I can’t sell privately or otherwise. I don’t know whether it’s because my hair is blond, but I am being fobbed off by them every time. They are now insisting that the car is running according to all their tests and they can’t do anything more. I’ll never buy another Audi. It’s very sad that the car is worth less than if I’d not had the update done. Had my 170bhp Tiguan serviced by vw, has a full vw service history but went into limp mode last week. VW have had the car for three days now told I would have to pay for diognostics but then told it was an ecu failure so would be changed FOC. My concern is that I’m gonna have problems from now on, so thinking about getting rid of it and VW for good. They think we are all gullible idiots, they should either reverse the so called fix or but the cars back. Hi to all. You can downgrade the firmware, but it is high risk to kill ECU. If you decide to do so: 1.You can buy Vas5054 clone from China. 2.Install Odis Eng ( for offline update). Not all Odis version are working good with UDS, I use 6.6.2. More info you can find on Russian language(Google translate could help You). 3. A few steps to put the ticks in Odis to dont check the version of firmware. 4. Download DVD/CD with firmware for you brand car. 5. Read posts and start study – its quick education about version of ECU, choosing firmware for your ECU version, ETC. 6. Make downgrade – flash ECU. I Did it 2 times, downgrade to 9901 and later to 9972. Both of them are not dieaselgate. 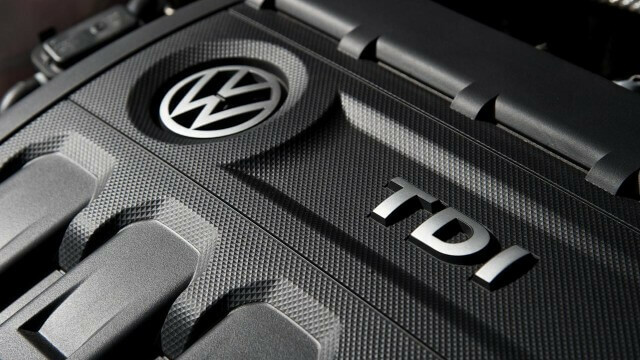 Most of dieselgate firmware are 9977, 9978, 9979 – on vw, seat,skoda, audi. Good luck. Or Yes, the cable cost abt 70 usd from china. In the web, you can find also how to choose Vas5054 to buy. This cable can be used also to clear DTC, coding etc. Hi Without, can you tell me where to find Russian website that I could read more about Odis info and what is UDS stand for? Thank you so much for your help. I have a 1.6tdi Skoda yeti that went in for the fix last sept. I noticed as soon as it was back that the fan kept coming on on shorter journeys. I now regularly get a strong smell of fumes coming into the car from the dpf regen that it does at least every other day. I have tried motorway journeys, high rev journeys, dpf cleaners, expensive premium fuel and none of it works. They have ruined what was a very economical car. I’ve had to pay out for new fuel injectors which failed and left me and my three year old stranded in limp home mode. I took it to Skoda for diagnostics which they didn’t charge me for but the mechanic didn’t even look at it he knew straight away the issue was the dpf. It’s clearly an issue that they are aware of but are unwilling to admit to. It’s only since doing a bit of research that I’m realising this is a much bigger problem than I thought and I just want to get rid of my car now but I doubt anyone will pay much for it. I’m in Canada and drive a 2013 VW Jetta TDI, with a manual transmission, that had the “fix” several months ago. Since then, I’ve noticed engine hesitation when attempting to accelerate; loss of power, and decreased fuel economy. Relatives who have also had the “fix” procedure completed on their automatic VWs have noticed all of these to an even greater degree. Talk about one bunch of angry VW owners! We feel like we’ve been cheated twice! All of us have resolved to get our vehicles returned to their original state as soon as it’s possible. I’ll be watching this site.